Being neck deep in the dog days of summer, I've been playing a lot of both the Wii U and the PlayStation Vita lately, getting into titles I've not previously had the time to check out. While both platforms feature an immensely underrated and under-appreciated library of games respectively, I noticed something when I switched between playing the Wii U and then to the Vita. I found that the games I was playing on the Vita were using the system in much more interesting ways than the games I was playing on the Wii U with the GamePad controller, the main attraction of the system. How could this be? Had Sony finally beaten Nintendo at its own game of positive innovation? With the Wii U, Nintendo struggles to deliver its message about what the Wii U actually is and what makes it worth purchasing. 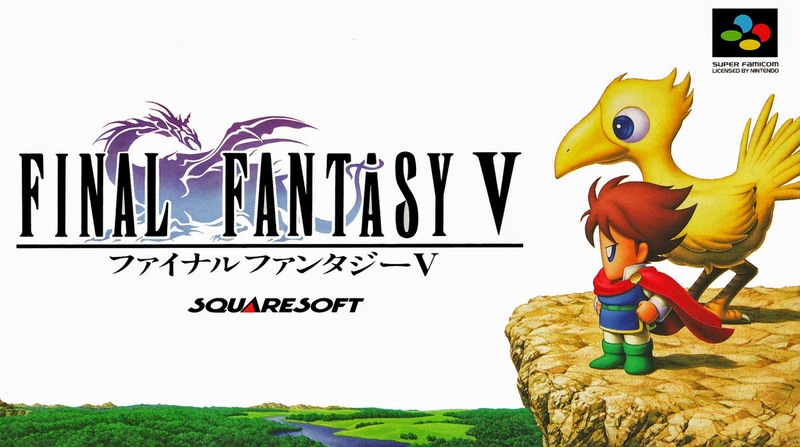 A large factor here is obviously the incredibly idiotic choice for a name (something that MANY people said would be confusing to consumers long before the system launched), but it's also the games as well. The top titles for the Wii U don't actually use the GamePad in any kind of meaningful way. Let's take the recent Mario Kart 8, for example. There isn't an option in multiplayer to have one player use the TV screen and one player use the GamePad. 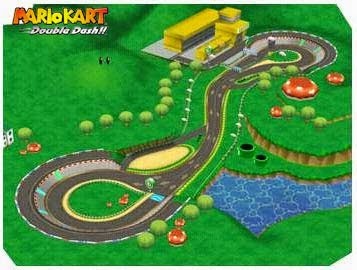 Instead, the screen is used for a map of each track, one that is a pain to look down at and try to stay on the track at the same time. Then there's something rather symbolic of Nintendo's complete bewilderment with taking a big franchise and making it better via the GamePad. Yes, I'm talking about the horn function. 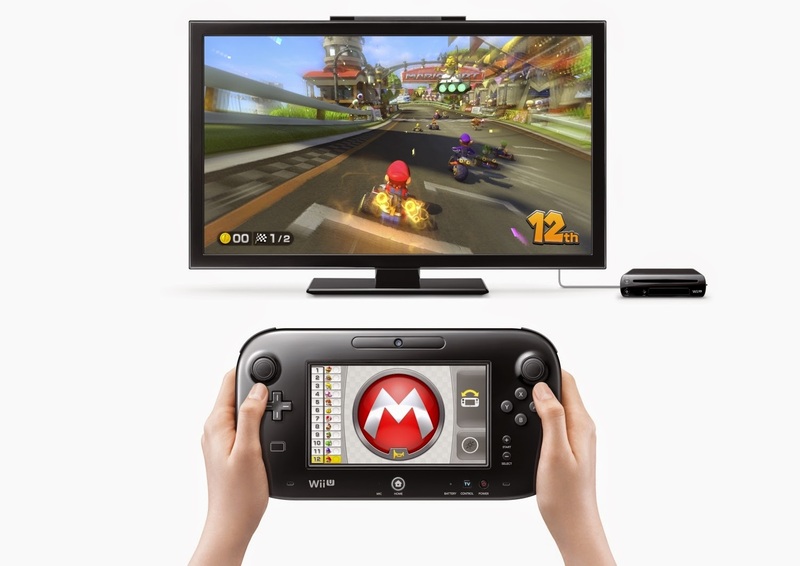 You, too, can use your Wii U GamePad screen to tap, tap, tap-a-roo to make your kart, bike, or ATV driver honk his or her horn. This is the best Nintendo could do for a major release on the Wii U. Essentially saying that the GamePad is completely worthless except if you like having to pay more for the Wii U hardware because of the controller's inclusion. On the other hand, you have the PlayStation Vita. While it's true that a lot of games do feature the various hardware functionality of the system and do it poorly (looking at you, Assassin's Creed III: Liberation), the major titles on the system generally use the touch screen, rear touch pad, gyroscope, and accelerometer in great ways. LittleBigPlanet on the Vita and ModNation Racers: Road Trip both make creating levels and courses much easier for the player. The creator controls are intuitive and allow for a greater amount of finesse when crafting buildings, drawing shapes, tracing the path of a track in ModNation Racers, and various other helpful uses. Perhaps the most fantastic use of the PlayStation Vita hardware's functionality is Media Molecule's Tearaway, recently announced for a remastered version on the PlayStation 4 at this year's Gamescom. You are constantly interacting with the world, using your fingers to poke through paper and push objects around, you create items out of construction paper, and you take photos with the Vita's inward and outward facing cameras to insert yourself and other things into the world. 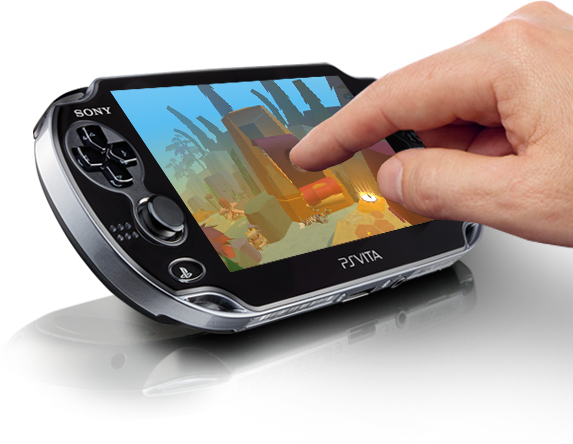 There's a no better proof of concept piece of software for the Vita than Tearaway. The difference here between the Wii U and the Vita is that the PlayStation Vita is not Sony or the PlayStation brand's bread and butter, their major source of revenue. 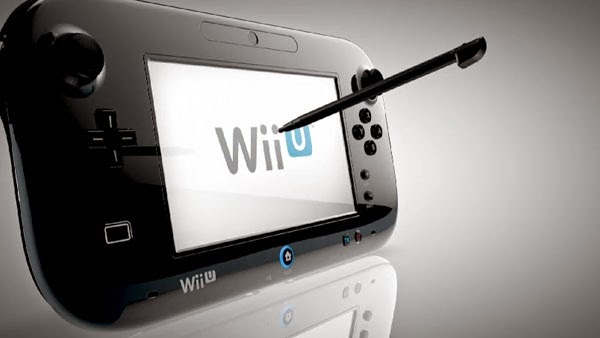 The Wii U is Nintendo's big home console, and when the developers and game designers cannot even think of good ways to make use of the Wii U GamePad itself, then what was the point of having it in the first place? It simply comes off this time around as Nintendo feeling like it needed to do something different for the sake of being different instead of what it usually does, design a controller based on the needs of the games it develops. For every experimental game that Nintendo releases that uses the GamePad to great lengths and in great ways like Nintendo Land, Wii Party U, Game and Wario, and LEGO City Undercover (the latter was published by Nintendo), there's a whole slew of major releases like Super Mario 3D World, New Super Mario Bros. U, Mario Kart 8, Donkey Kong Country: Tropical Freeze, Pikmin 3, among many others that use the GamePad in such pithy ways that it comes off as an afterthought. And that's what the Wii U GamePad right now feels like for the majority of games, an afterthought. I won't lie and say I don't love using the controller for Miiverse, off TV play, and browsing the Internet, but the main selling point of Nintendo's home consoles has always been games. If the GamePad doesn't really make the biggest titles on the Wii U more exciting and interesting than just using a normal controller, then what is the point? As it stands now, we have a rare moment in time where Sony is doing more innovative things with their hardware than Nintendo currently is, and that's with a platform that many are anxious to call dead. Remember the days when Sony would be chastised for "copying Nintendo"? Maybe it'd be good this time around for Nintendo to try to take a page or two out of Sony's playbook. Chapter one of that playbook would be not making a controller or input device that you have no idea what you want to do with it and bank the future of your company on it, losing millions, more like billions, in the process. 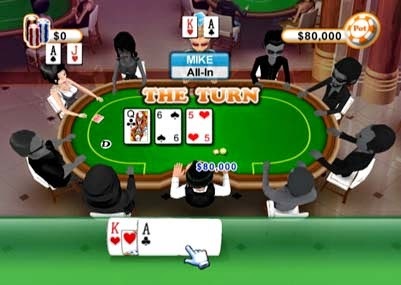 This Nintendo poker game tries to recreate the true online poker experience and does this by choosing the most popular poker game of them all; Texas Hold‘Em. Nintendo uses a relatively simple format as used by most major providers, which is universally popular. The game allows you to play different games in either a tournament format or in a head-to-head competition, and players are able to practice before tournament play to make sure they are fully satisfied that they understand the intricacies of the game. It largely succeeds in recreating a casino experience, sticking rigidly to the tried and tested Texas Hold’Em format which has become popular throughout the world. 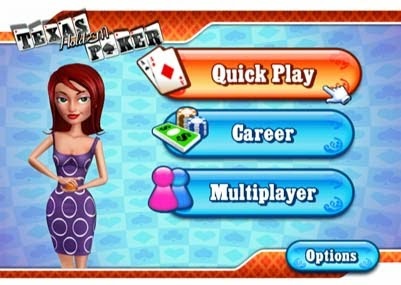 People who buy the game will surely have heard of Texas Hold ‘Em and there is nothing in this game to frighten them too much, as it sticks to the traditional format of the two hole cards and five community cards. The game also has a good and clear menu, so you can access the section you want quickly and easily. The graphics, as you would expect from Nintendo, are excellent throughout. I also liked the way the player can work his or her way up, starting in relatively humble surroundings in Nevada, but by using their skills and reputation in the game, can eventually earn the chance to play in the glamorous tournaments of Las Vegas. Another attractive feature from Nintendo (which is available when using an internet connection), is a table showing the worldwide rankings, where you will see your standings on the leaderboard go up or down according to your success at the tables. There is also, of course, a multiplayer format so up to five of you can play together. However, as a lone player you can also go online to challenge players of a similar skill level to yourself. Also, as with most Wii games, you can use the character support to create a likeness of yourself. You can then either use one of the six characters on offer or import your own Mii to participate. Though Texas Hold ‘Em is not the hardest game to grasp, this version gives you the opportunity to learn the game and its intricacies as fully as you want so you can master the rules and also the art of bluffing. After all, so much of poker is how you behave at the table. I like the way that this aspect of poker, which could be ignored in a gaming format, is embraced. As a game, it is well worth a try. 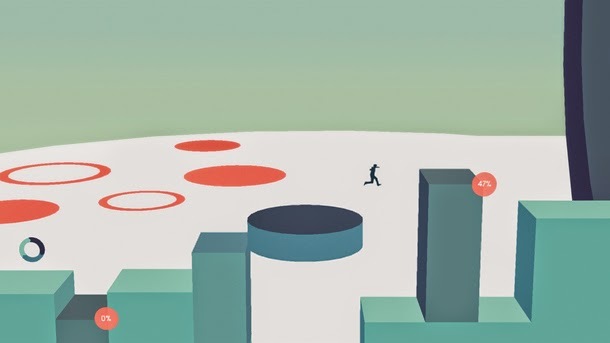 Metrico was released about a week ago on the PlayStation Store for Vita owners to enjoy and dive into. 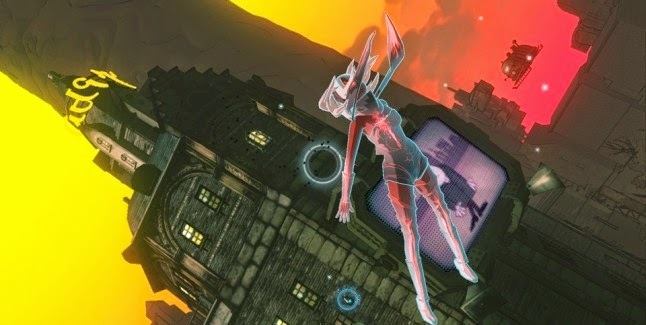 The game is also available this month only for PlayStation Plus subscribers for a low price of FREE. Can't beat free, but as you'll discover with this review, Metrico is worth its price tag regardless. Warning: The following game features infographic content. The indie initiative on the PlayStation Vita is going strong, and that can only be a good thing for all parties involved. Since retail releases in the West have all but dried up, digital releases have been taking over, offering a well rounded library that the Vita otherwise wouldn't possess. Indies have single-handily made it so the Vita is still relevant in the West, and the Vita has made it so many of these indies have found great success on the platform. 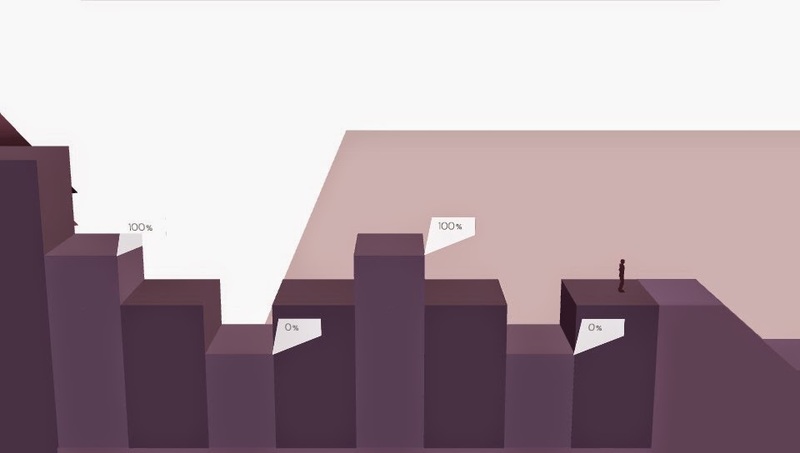 Metrico is a platformer focusing heavily on solving pzzules that has its actual platforming take place on various statistical information, such as pie charts, bar graphs, and much more. It's a very clever idea and an interesting premise for sure. 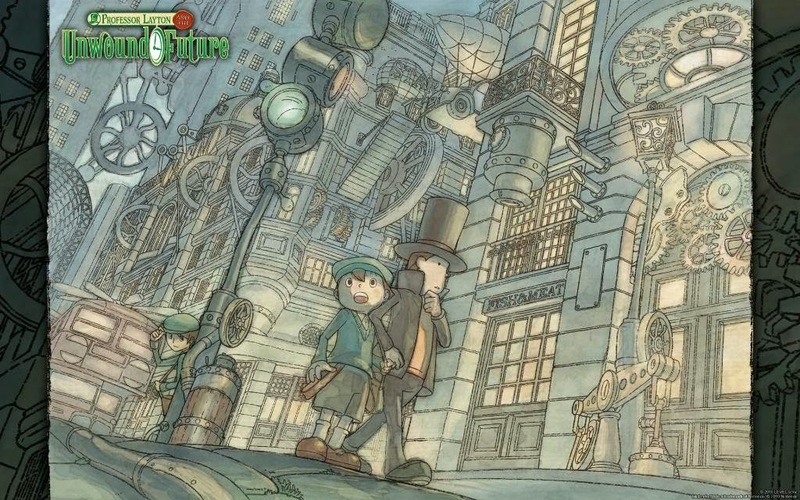 Thankfully, it's not just interesting for a premise; it makes for a really fun game too. The developers of Metrico went with a minimalist approach to not just the visuals, which are sleek, futuristic, and well designed, but also with the design of the game itself. You will not encounter copious amounts of tutorials that hold your hand from the beginning of the game to the end. In fact, tutorials are kept to a bare minimum, only coming into play a handful of times throughout this grand platforming adventure. Metrico encourages experimenting, and thanks to the innovative and mostly intuitive uses of the PlayStation Vita hardware, this experimentation makes for a roaring good time. 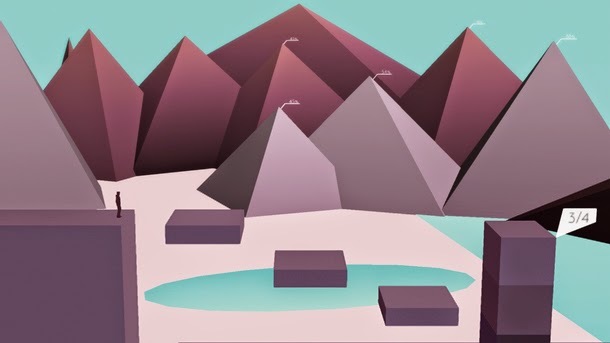 Metrico is all about player inputs affecting and influencing the world around them. 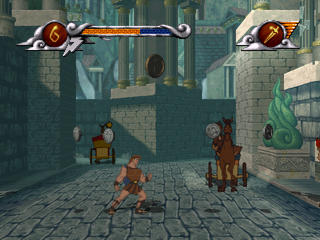 Some platforms only rise up when the player jumps, while some only lower when the player moves to the right. Yes, it's all about experimentation, and getting stuck is a part of that experience. However, it is immensely gratifying to finally overcome a particular sticking point after pondering over it and trying out different strategies for 10 or even 20 minutes. The PlayStation Vita's various hardware functionality is heavily featured in Metrico. Buttons allow for jumping and returning to checkpoints; the latter of which returns the current puzzle room back to its original form. However, there's also alternative inputs like shaking the Vita itself and using the back touch pad to line up, aim, and fire shots. While most of these inputs work well and feel intuitive, I did have more issues with aiming with the rear touch pad than I wanted to witness. The rear touch pad isn't the most precise means of aiming, and shooting with the right shoulder button simultaneously can feel like rubbing your head and patting your stomach at the same time. Go ahead and try it. It's a little challenging without having your patting hand make a circular motion like your rubbing hand. The trouble here is that several puzzles require you to aim and precisely fire at enemies. When each time you fire a platform raises and if you miss enough shots (which is VERY easy to do unfortunately), the platform raises so high that it's impossible to jump over, things can become rather vexing. 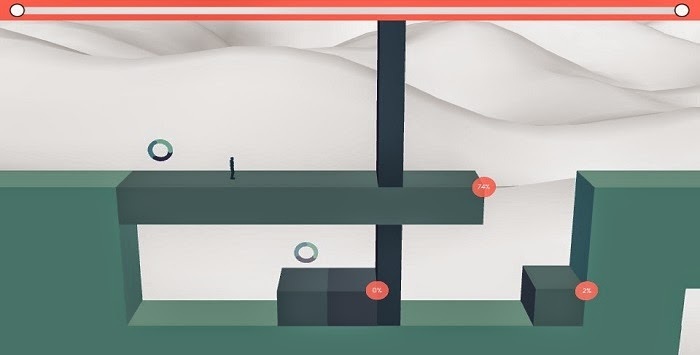 Metrico can be beaten in an afternoon's time, but there are collectibles to acquire, three in each level. These are as simple as just coming across them and finding them. No, you have to organize the various platforms in a way that satisfies the condition for the said collectible to appear. In addition to collectibles, the trophies included with Metrico offer alternate ways to play the game, adding to the replay value presented. While Metrico is a short game, it's one that will bend your mind with its simple yet complex puzzle platforming and keep you engaged from start to finish. 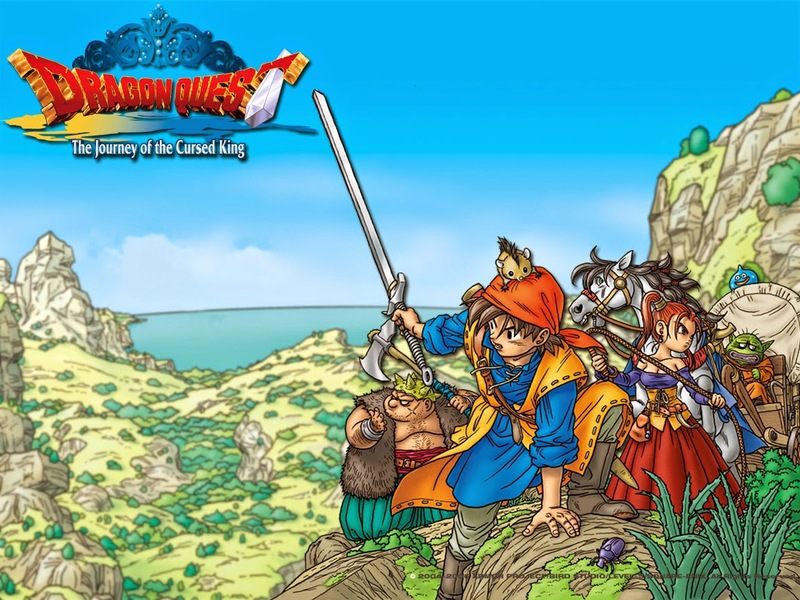 It's by no means a perfect gaming experience, as the actual platforming isn't as great as I would like (the perspective in some levels makes knowing how wide some platforms are difficult to ascertain) and some frame-rate drops in between level sections. However, those looking for yet another innovative indie title for their PlayStation Vita will definitely find a lot to like with Metrico.